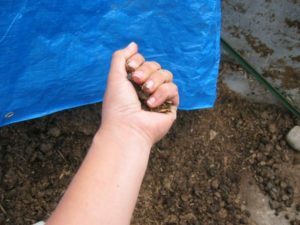 Once you have built a system that suits your needs, it is time to get a handle on some composting basics before you get started. In order to turn out a quality finished compost, active management of the system is needed. Simple management and monitoring of input materials, aeration, temperature, and moisture can make all the difference. 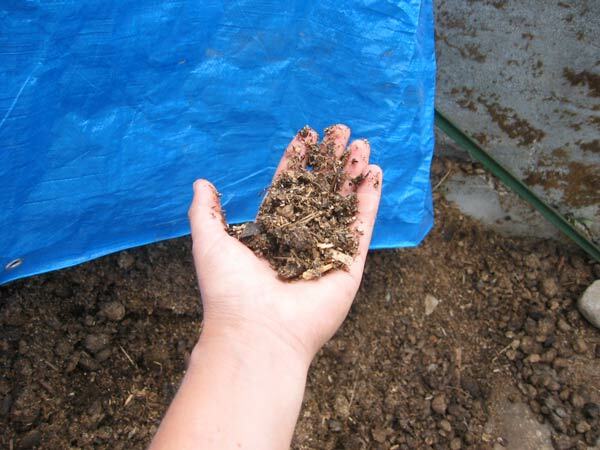 The materials that you put in your compost influence the success of your final product. The organisms that decompose the raw materials need to be fed properly. The diet of these little critters is a careful balance between carbon for energy and nitrogen for growth. To keep them happy and doing their job efficiently you need to consider the amount of carbon versus the amount of nitrogen you are putting into your system. This is called the carbon to nitrogen ratio, or the C:N ratio. The ideal C:N ratio is approximately 25:1- 50:1, or 25 units of carbon for every unit of nitrogen. 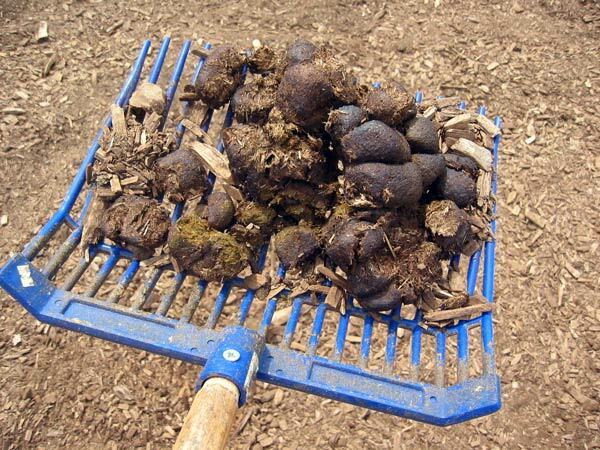 Horse manure on its own is just about the ideal C:N ratio so you have to be careful with how much bedding is going into your pile along with the manure. If the C:N ratio is not correct, your pile may not compost completely, may compost slowly, or your end-product will not have nitrogen available to the plants it is used on. 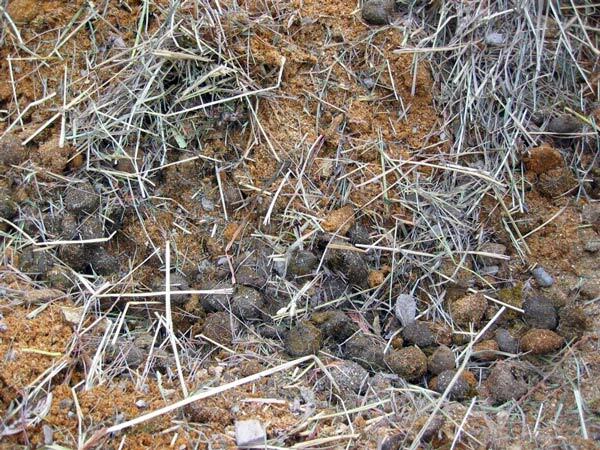 Too much bedding, or a C:N ratio too high in carbon is a common problem with horse manure composting. 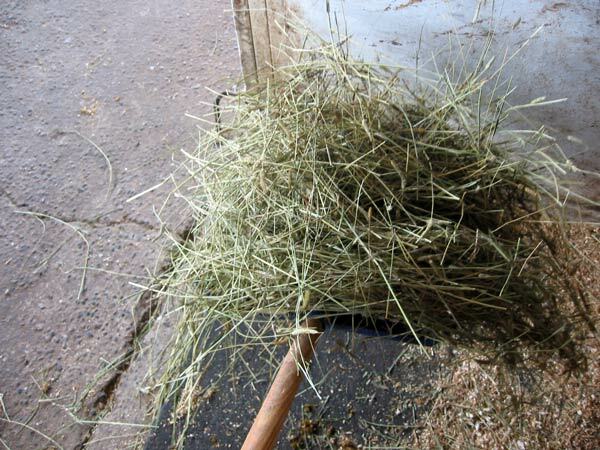 You may need to consider reducing the amount of bedding you use in your stalls, trying a different type of bedding material, or adding another nitrogen source such as grass clippings. For more help visit the troubleshooting guide. 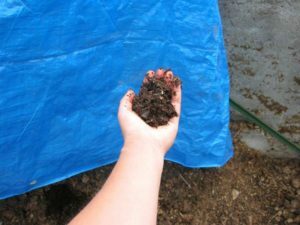 Allowing an adequate amount of air to flow through your composting pile is critical to the success of your final product. Air space throughout the pile allows oxygen to move into the pile and carbon dioxide to move out. The preferred microorganisms that break down the raw material are aerobic, meaning they require oxygen to survive, so it is critical that your compost has adequate airflow. Ensuring that your system has adequate airflow is also critical to odour prevention, reaching ideal temperatures for composting, and having the composting process occur in a short duration of time. There are two common ways to manage the aeration of your composting system. You can decide which method best suits you and your farm. Passive aeration means that the natural airflow surrounding the pile is used. This means that you will simply pile your waste into your bin and will not turn the pile regularly. 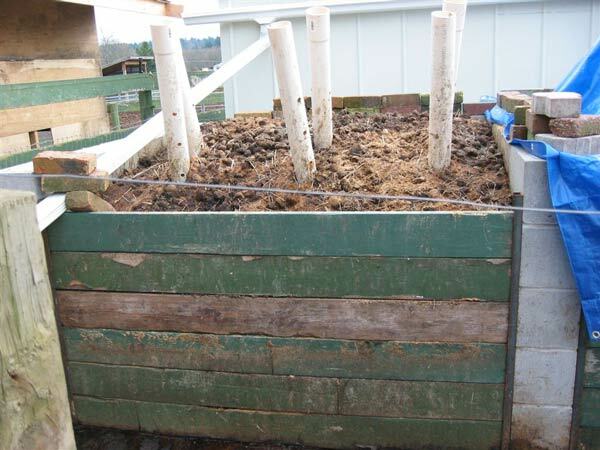 Passive compost piles work best for smaller scale operations such as properties with one to six horses and properties without machinery. Passive compost piles are smaller in scale, such as a small, 3-bay bin system with each bin measuring no more than 10ft x 10ft and no higher than 4 ft.
For passive aeration to work, it is critical not to exceed the size restrictions stated above. Passive aeration may involve the use of perforated PVC drain pipes stacked vertically throughout your pile. The pipes will bring air into the middle of the pile eliminating the need to turn it. 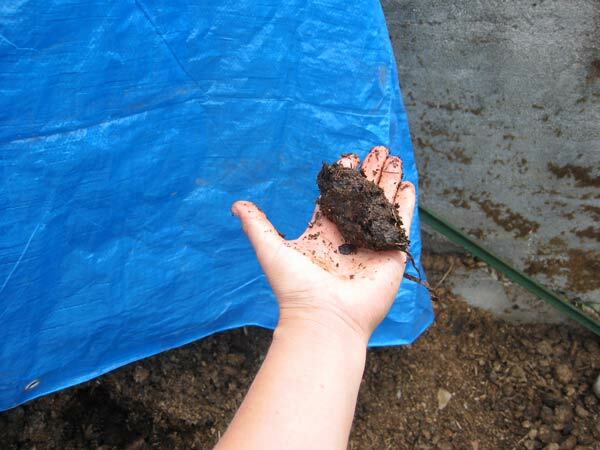 When practicing passive composting one may want to consider occasionally hand turning the outside layer of the pile as otherwise it will not break down as much as the inner material. Passive management of airflow can also cause the composting process to take slightly longer than a pile that is turned actively. The finished product of passive systems also retain some of the physical characteristics of the raw materials as the materials are not continually being broken apart by the bucket of a tractor. 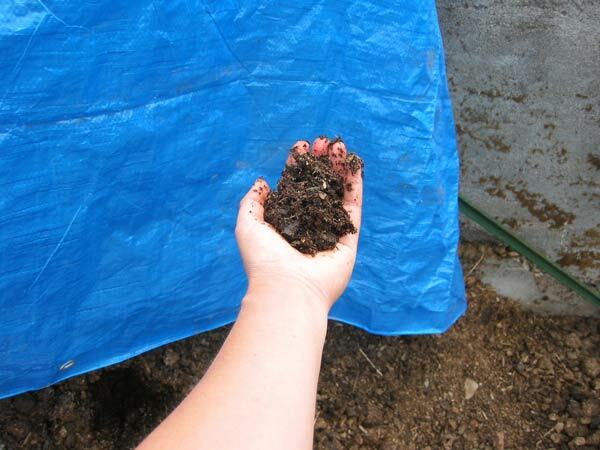 Note that a thorough turning at the end of the composting process (by hand of machine), or running through a screen will break up the finished compost so that it looks much like the finished product of turned piles. 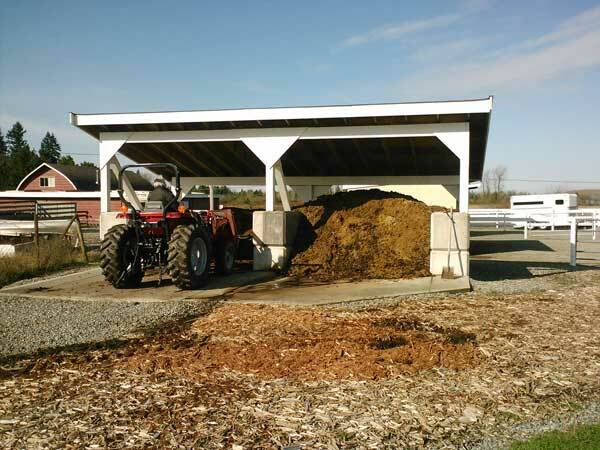 If you have a tractor with a front-end loader, managing the airflow can be done by regular turning of the compost pile. Regular turning will not only ensure that all weed seeds and larvae are killed during the composting process, but also will speed up the composting process. Weekly turning is recommended. The composting process generates significant amounts of heat as microorganisms decompose the organic material in your compost pile. Temperature is important to manage because it tells a lot about the composting process and will clue you into possible management issues that can be rectified easily so that your compost pile is composting properly. 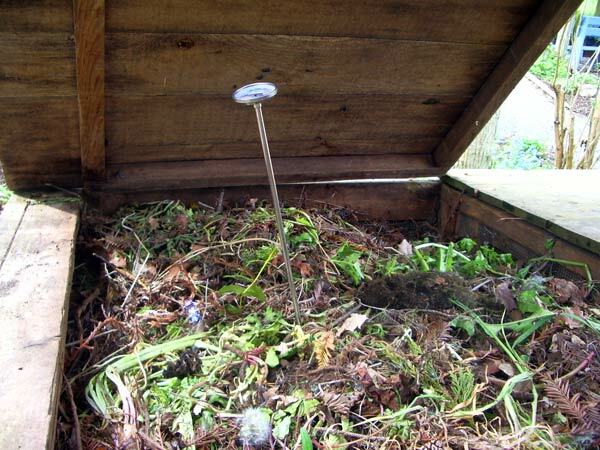 A thermometer is an important tool to have when managing a composting system. Long thermometers can be purchased from local hardware or gardening stores. Manure compost should reach up to a temperature between 55-65°C and maintain this consistently for 2-3 weeks. This ensures that both weed seeds and harmful pathogens are killed during the process and that composting is actually taking place. The temperature will fall once composting is complete. Moisture is a critical component to a successful compost system. Adequate moisture is essential because it plays an important role in the metabolism of the microorganisms breaking down your compost. A moisture content of 40 to 60% is optimal. Take a handful of material from the middle of your pile and squeeze it. It should feel like a damp, wrung out sponge. When you squeeze it and then open your hand, the material should stay lumped together, as shown in the image below on the left. If it falls apart the pile is too dry and it may need watering, like the image below on the right. If it drips, then your pile is too wet. The pile should be moist, not wet. For additional help visit the troubleshooting page, the improve your practices page, or contact one of our regional Manure Mavens.